Close Up Shot Of Bee Sit On Beautiful Orange Flower In Garden In Summer. 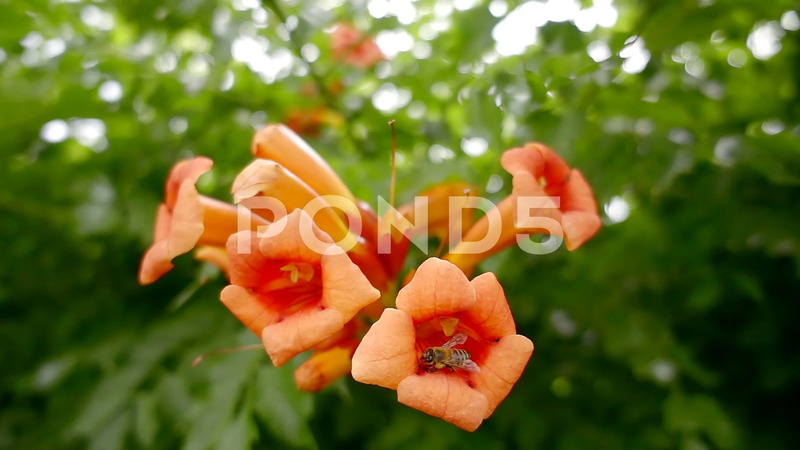 Description: Close up shot of bee sit on beautiful orange flower in garden in summer. Majestic nature.